Antique brass metal wall light with metallic champagne gold linen drum lamp shade. Ideal light fixture for modern, contemporary living room & hallway home decor. Sleek, stylish look, wall light for adding extra lighting or creating a warm glow for any interior. Would look great used singly or in pairs. With more wall lights to choose from in a great choice of styles. Antique brass metal wall light with metallic champagne gold linen drum lamp shade. Ideal light fixture for modern, contemporary living room & hallway home decor. 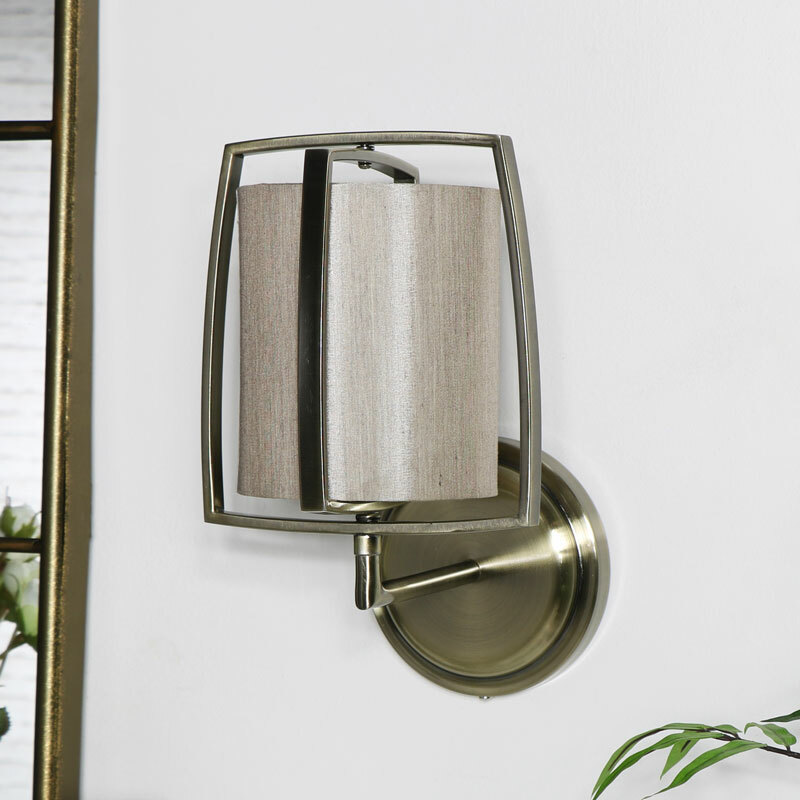 Sleek, stylish look, wall light for adding extra lighting or creating a warm glow for any interior. Would look great used singly or in pairs. 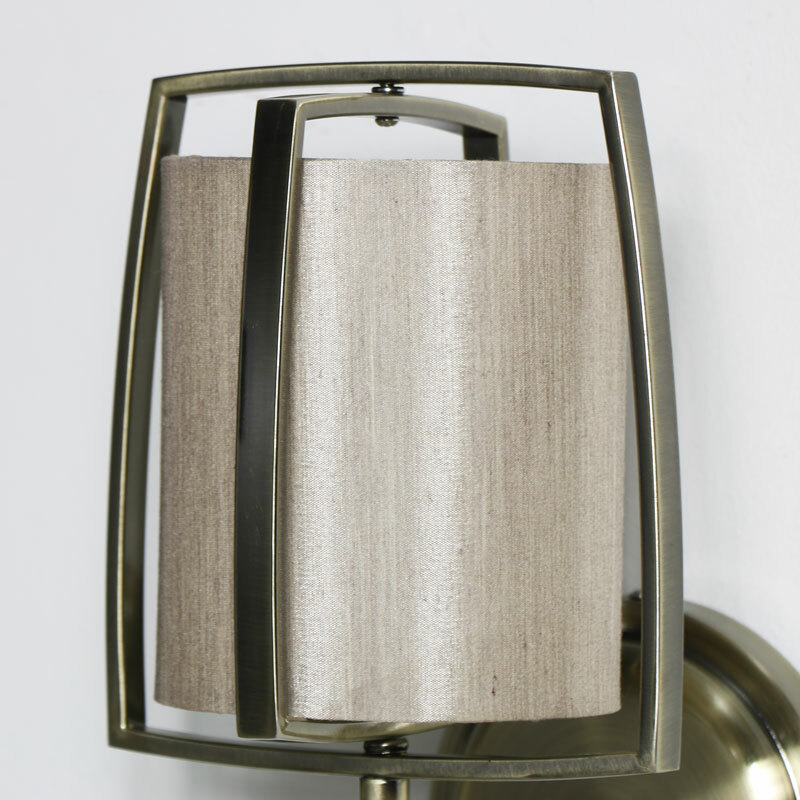 With more wall lights to choose from in a great choice of styles. Constructed with a metal frame in an antique brass finish with a small champagne gold coloured shade. Fixes to the wall with metal back plate, instructions are included. Takes max 12w E14 screw in bulb.